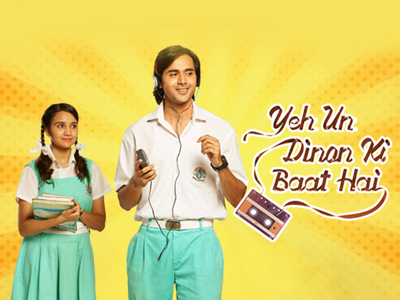 Ye Un Dino Ko Baat Hai is a love story based in the 1990s. The show will celebrate 90’s as an era of romance. It will focus on the magic of first love – confusing emotions, the longing to see your lover, the meeting of eyes, the brush of the hands, the awkwardness – with sensitivity and humour. The show explores the magic of ‘first love’. Naina a quintessential good girl meets flamboyant Sameer in her school in Ahmedabad. She starts liking him the moment she meets him. The same is followed by a series of misunderstanding between Sameer and Naina. In order to avenge his insults Sameer takes a bet with his friends that he will make Naina fall in love with him. What starts as a bet ends up in true love for Sameer as Naina cares for him like no one has ever done. When Naina gets to know about the bet she is heartbroken. Thus, begins Sameer’s journey of transformation and penance. This show will be a closer exploration of everyday moments that these two share.